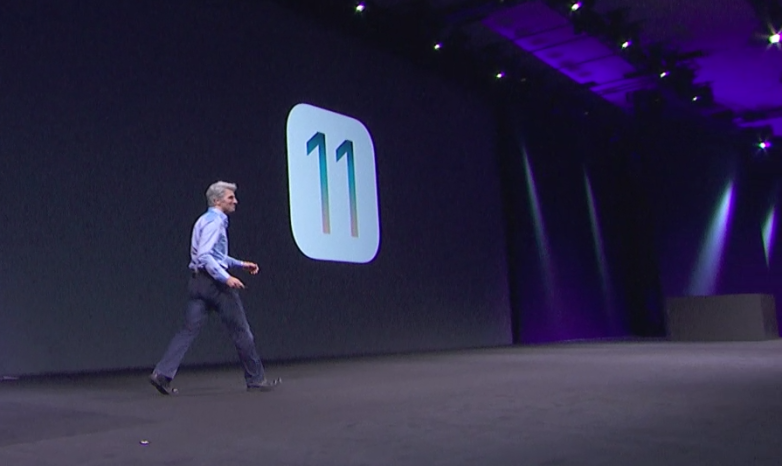 On June 5, 2017, at the Worldwide Developers Conference, Apple has launched iOS 11 that is the next generation version of iOS. The CEO of the company ‘Time Cook’ said on stage that the update will take the best and the most advanced operating system and turns it up to 11. The all new iOS 11 update brings enormous features and functionalities that will transform your iPhone and iPad, Apple’s update is either out now or it will be available three months later, depending on who you are. Mainly, it is a big upgrade for the iPad. Apple’s tablet becomes a true laptop replace with revamped iOS multitasking. Both the iPad and iPhone get a much-required Control Center reorganization. Moreover, there are various new camera modes, Siri becomes smarter, Apple Pay Cash, allowing peer-to-peer money transfer, etc. Developers can easily download a preview of iOS 11 through developer.apple.com. And, the public beta program obtainable for iOS users at the later of this month at beta.apple.com. The public release of iOS 11 will be obtainable in the fall for the iPhone 5s and later, all iPad Airs and all iPad Pros, the iPad 5th generation, the iPad mini 2 and later and the iPod Touch 6th generation. The all new iOS 11 allows you to transfer money to your friends using Apple Pay. You can easily transfer money by just opening Apple Pay through the Messages app and sending money from debit and credit cards through Apple Wallet. In any case, if you have any discussion about the money on the iMessages, Siri will suggest you to use Apple Pay to send or receive money. The best feature is that you ask Siri voice commands to pay someone. Once receiving payment, users can see the money appear in their new Apple Pay Cash account. After receiving money, they can use that money to make purchases using Apple Pay in stores, apps and on the web or transfer it to their bank account. Apple’s iOS 11 comes with redesigned the App Drawer feature on the Messages application. You can come to know that the redesigned App Drawer that makes it easier to share content through the Messages app like Apple Music songs or Starbucks Gift Cards. The camera application in the iOS 11 has been updated to support high-efficiency video coding (HEVC). It means that it supports up to 2x better compression; however, the video quality will not go down. Live Photos are also editable, so you are allowed to trim the video loops. You can also select the key photo, create loops, mute the Live Photos, Bounce the Live Photos and easily set-up Long Exposure. In iOS 11, the Photos application makes use of a new technology that is known as the High-Efficiency Image File Format (HEIF). It decreases the file size of every single photo that is taken with the iPhone 7 and iPhone 7 Plus without compromising the quality. In iOS 11, the Lock Screen has been improved so you can easily see all the Notifications at one place. To check out all the notifications, you just need to simply pull it down like a cover sheet from the top of the screen. After that, you can easily see both your recent and missed notifications at one single place. In the Home application, there will be a multi-room support for speakers in iOS 11. Therefore, you are allowed to control the volume as well as playlists for your speakers in the living room speaker or your kitchen speaker. In the update, Apple has also renovated the profiles on Apple Music, allowing users to see what their friends are listening to and check out the playlists that your friends have curated. Moreover, you can also find a new Music API, allowing developers full access to the Apple Music service, recent search, featured content, 40 million songs, Cloud Library access and Users’ For You Recommendations. Now, users will find a completely new mode on the iPhone that will make it easy typing with one hand. As there is a new QuickType keyboard on the iPad that allows instant access to numbers, punctuation, symbols, etc. In iOS 11, Apple is also updating the Podcast application in iOS 11 so that it will have a similar design as Apple Music and the new App Store application. Many a time, Siri has a difficult time to comprehend what you might be saying. Luckily, Siri has a new feature, enabling users to type queries to Siri instead. Through this feature, you can be activated through Accessibility Settings once iOS 11 is released. Now, the Apple AirPods users are able to adjust the double-tap action with the new control options using iOS 11. Before launching iOS 11, users had to decide whether double-tap would activate Siri or play/pause audio. With the new iOS 11 update, there is a new feature that automatically deletes your applications that you are not using and it will especially work when you are running low on storage. Still, you keep all the related docs and data in any case if you ever want to revive the application, you just need to tap on the grayed-out icon that will restore it. Now, you can start recording everything that you are doing on the screen of your iPhone with iOS 11. It becomes a lot easier to record different things that you are doing on the screen without any hassle. Just swipe up and you can see Control Center that has had a huge redesign for iOS 11 that quite exceptional for a start. However, there is also more to play across with. It is back all on one page, but further controls from your regular switches and sliders that can be accessed using 3D touch. It will bring more functionality to your fingertips and appears like a change in iOS 11 that given how frequently most of the people interact with it. So, these are the main features of iOS 11 that will revolutionise your iPhone and iPad. What do you think about these features? Are these useful or not? Share your views by commenting below. This entry was posted in News & Events and tagged Features Updates, important announcements, iOS 11, WWDC 2017 on June 16, 2017 by Rakesh Patel.